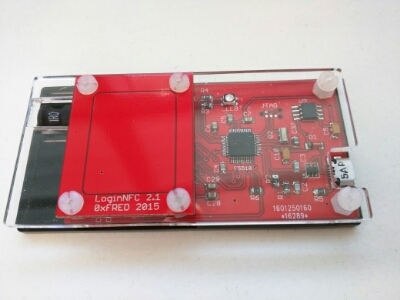 This entry was posted in MSP430, NFC, PCB by 0xfred. Bookmark the permalink. I just recently got an xNT implant and am working on designing a reader/writer board. Being a student at University College London, your blog brought great interest on my behalf and on behalf of many of my fellow colleagues. I was hoping we could exchange some emails and share ideas on custom antenna designs and small form factor integration for implantable tags. As it unfortunately seems ,research on a university level is still in its very first years with regard to reading human implantable tags with any practical range. I’ve been thinking about trying an optimised PCB antenna myself. The coil is good but I wonder if it could be better. Happy to collaborate on this. I’ll drop you an email.